September 2015 – Sue's Reviews. 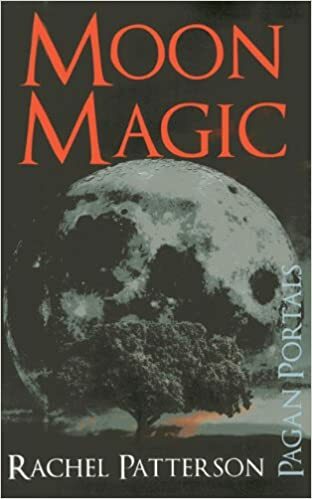 Pagan Portals: Moon Magic by Rachel Patterson. This lovely book is ideal for anyone wanting to focus on working with the moon. It is jam-packed with ideas for rituals, meditations and other moon related activities. Each chapter has enough information for the novice through to the more experienced practitioner and the author suggests adding your own spin on everything too. The book only has 112 pages, but it has no need to be on the lengthy side as what it contains is more than enough for anyone to get serious about working with the moon. The chapters cover Esbats, the phases of the moon, seasonal aspects, the Celtic Tree Calendar, moon deities and much, much more. The instructions are clear and concise, and, as already mentioned, there is plenty of scope for you to add your own twist to any of the suggestions included. I was really impressed at the sheer volume of information contained in this book, quite often the material is repetitive in something this short, but that wasn’t the case here. Well worth a read for anyone interested in this subject. My Soul Is Wherever You Are. The title of this book suggests a romantic read. The reality of this book is a murder/mystery. It’s a very short read but boy, the author packs so much adventure and intrigue into the book that you don’t really feel cheated by it not being longer. The story moves back and forth between the end of World War 2, to 1963 and to Easter 2011. It can be a little confusing at times but I found re-reading the opening lines or the end of the previous chapter brought me back up to speed without any difficulty. the story centres around certain individuals in the tale and leads up to the revelation of the killer of Moresco, his death is what starts the story off. It has been translated into English and sometimes this interrupts the flow of the narrative, this is what has happened here. don’t get me wrong, you can easily understand the story but I feel it has lost some of its natural flow in the translation. All in all a pleasant short read. Review of Voices Of The Sacred Feminine. This book consists of many different stories, points of view and interviews that the editor has conducted on her radio show, Voices of the Sacred Feminine. The book brings us tales of struggles throughout the world, the struggles that women face everyday. These voices share their knowledge and wisdom on how they are trying to make a difference in this world. There are so many different points of view, too many to list here, you are sure to find something that resonates within you. The book looks beyond God, the Christian God, and instead explores the role of the Goddess. There is a wealth of mythological stories, as well as tales of finding oneself and overcoming periods of struggle. The book is quite lengthy, 409 pages, and is broken down into four parts. You won’t get through this in one go, but the book isn’t designed for that. For me, I felt it was the type of book one would dip into when searching for inspiration, and there is plenty of that in this book. I enjoyed this book and recommend it to anyone who is looking for something beyond the usual self help offering.